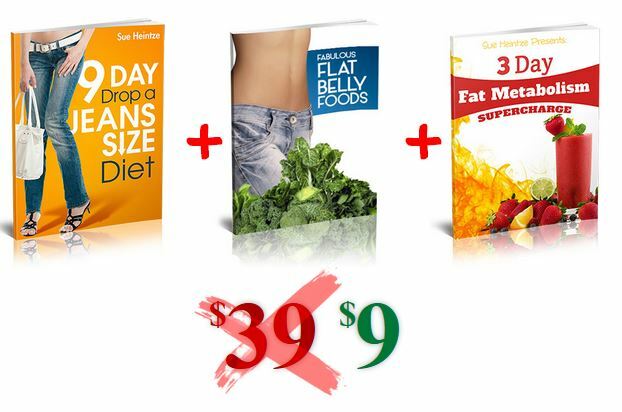 Sue Heintze's Jeans Diet Review | 3 Steps + 9 Days to drop a Jean Size? It’s the foundation of her Carb-Fat-Calorie-Microcycle. What you get with Jeans Diet? Download this Program for $9 Now! Being overwhelmed about starting a diet is the one of the most common pitfalls of why most diets don’t work. Even if the diet is effective, and will work for you – if you’re overwhelmed, you have a huge uphill battle ahead of you. One side it is mental. Your mind races and you begin to stress yourself out thinking you can’t do it. On the other side. it’s physiological. You see, the overwhelming feeling you experience releases stress chemicals into your body. And when stress chemicals are on “slow drip” into your body, your metabolism slows down to a crawl. This is part of the CFC-Micro Method™ from female body transformation specialist, and Venus favorite Sue Heintz. As a woman, she understands that it can be tough to stay motivated and vigilant on a diet. And women can fall victim to being overwhelmed and not see the results they want. So she created a unique nutrition plan engineered to tap into a woman’s hormones to actually make your body support you on your new diet. Yup, you trigger your hormones to give you the support you need to be successful. It’s a very simple nutrition plan that taps into your natural hormonal cycles to fire up your body’s fat burning furnace. In addition it’s a very, VERY gentle approach. And a GREAT place to start if you’re at the beginning of your weight loss journey. Also if you’ve been slacking a little bit, Sue’s system is a great place to start up again. In addition more than just stress and overwhelming feelings about diet. Sue knows firsthand for women, that crazy exercise or diets cause your thyroid hormones to dip. Which then, cause your hunger hormones Ghrelin and Leptin, to take a big wack. Her CFC-Micro Method™ is specifically engineered for a woman’s hormonal cycles. It’s very similar to how Venus gets you cycling macronutrients. Yet her plan is designed to prime your body for maximum results. This is all about simplicity and variety. The problem with starvation diets is that they leave you with no options other than missing out on life’s pleasures and going hungry. Sue’s simple CFC-Micro Method allows you to eat your way down a jean size without starving yourself … and while actually enjoying the things you eat. And yes … you will be eating fat and carbs! The problem with most rapid weight loss programs is they ask you to do too many things all at once. Exercise can actually work against you at first. The more you ‘work up an appetite’ the more you are prone to hunger cravings… over-indulging, overeating, and putting back on all the calories you burned off (and then some!). And you want to avoid that. At all costs. Which is why there are NO exercise requirements for this program! As you probably know, raised stressed levels can devastate your fat-burning and weight loss efforts. If you drop your calories too low right away, you begin cannibalizing your muscle for fuel. This is devastating to your metabolism to burn fat. Because you want to be using fat for fuel – not muscle. In addition, crazy exercise or diets cause your thyroid hormones to dip. Which then, cause your hunger hormones Ghrelin and Leptin, to take a big wack. In non-science terms: HUNGER CRAVINGS. And your body thinking it’s going into stress. Naturally we can agree, the last thing you want going into a weight loss plan is a lot of stress. And by nature of the beast, the thought of going on a diet or following a plan can be stressful and overwhelming as it is. At current offer price of $9 it is a great deal! Controlling Hunger Hormones — hormones like leptin and ghrelin are reset after calorie cycling like the type the CFC Microcycle System uses. Improved Insulin Sensitivity — lower calorie days improve insulin sensitivity … which helps you reap the body shaping benefits of insulin on the days you increase your carb and calorie intake. Mindset Boost — being able to eat higher calorie days chock full of good carbs and healthy fats keeps you feeling full and happy … which helps you keep your sanity and peace of mind. 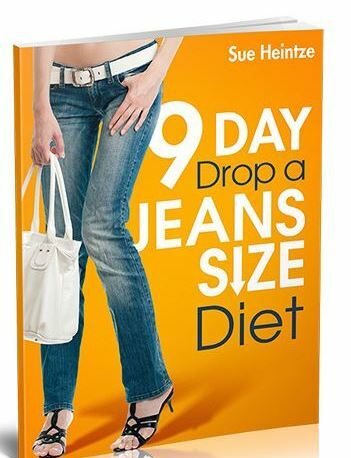 If you are desperate to lose a Jeans size quickly without too much pain Sue’s Jeans Diet is for you. At a discounted price of $9 it is a huge bargain. Just follow simple advice carefully and stick to manual for just 9 days to shrink your waist!